Scoop neck tank top is made in our fantabulous activewear fabric. Colors are made to match our skorts so you can buy matching tee. 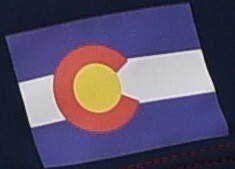 We add a Colorado Flag logo at the left side to show our Colorado State Pride! Logos are permanent and do not come off when you launder them.